In 2011, the inaugural MarTech Stack Landscape identified about 150 companies servicing marketers. Even then, one would have expected all those vendors to consolidate as the industry grew and matured. 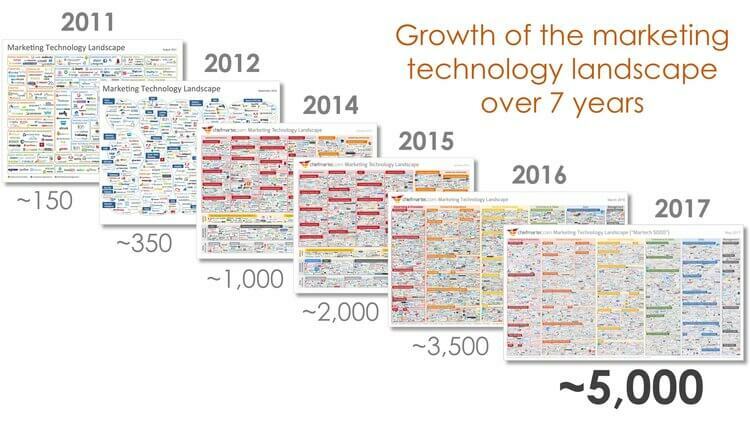 Instead, the martech landscape has fractured into 50 or more categories, populated by more than 5,000 vendors, fully half of which are brand-new venture-backed start-ups. Every marketer now needs to evaluate hundreds of tools, representing every new approach to customer acquisition, to find those few solutions that deliver ROI to their marketing campaigns. According to a recent study, the average enterprise marketing department uses an average of 91 cloud-based marketing services — plus many more for collaboration, CRM, cloud storage, and social media. With so many options in the tool chest, marketers need to streamline the martech stack with best-of-breed strategies and technologies to minimize complexity and improve connections between applications. With all these tools in the marketing stack, to understand the customer experience is essential to integrate the different data sets. conDati is developing services to collect, blend, and store data from disparate source systems up and down the stack. Our core expertise is applying advanced analytics to massive data sets in support of business objectives. Analysis from conDati will refine the customer journey and provide competitive insights and advantages. 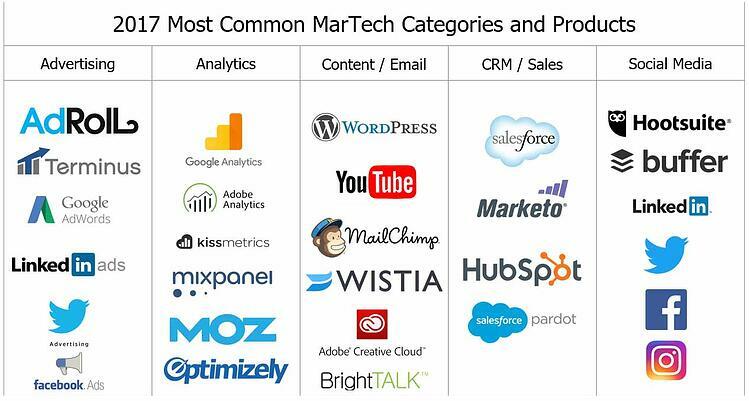 What does your martech stack look like? Do you have other “must-have” categories? Let us know your go-to solutions. Please comment below or follow me on Twitter @connie9888.